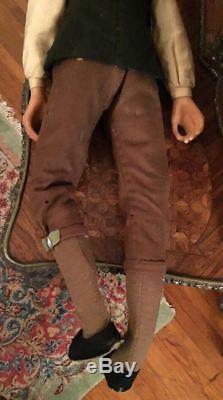 VINTAGE EDNA DALY HAND MADE WAX COLONIAL VICTORIAN STYLE GENTLEMAN DOLL. 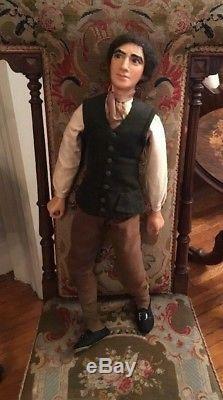 A LOVELY HAND MADE DOLL OF A COLONIAL STYLE GENTLEMAN. 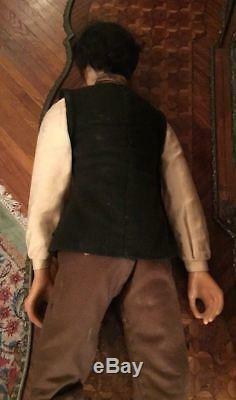 POSSIBLY MADE BY EDNA DALY. 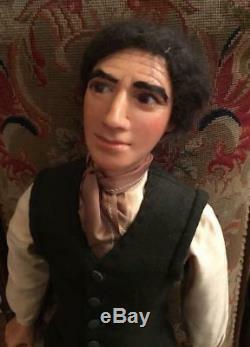 I ACQUIRED A SIGNED EDNA DALY EDWARDIAN LADY FROM THE SAME COLLECTION I HAVE JUST LISTED AND I'M ASSUMING THAT HE WAS MADE BY HER AS WELL THOUGH UNSIGNED. 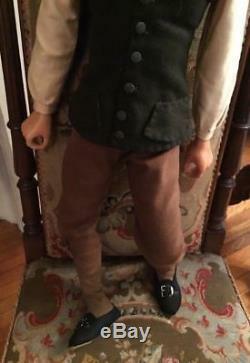 I NOTICE A FEW TINY HOLES IN HIS CLOTING. 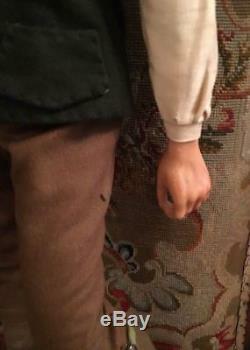 HE DOESN'T STAND ON HIS OWN. Thank you for your interest, please let me know if you have any questions or need more details. On occasion I do make mistakes and want everyone to enjoy their new treasure so if there is ever an issue please let me know. For large or fragile items. I recommend plycongroup dot com and my zipcode is 14904, they give efficient online quotes. Sometimes I can make arrangements with local companies. Listing and template services provided by inkFrog. 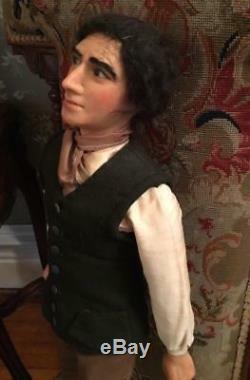 The item "VINTAGE EDNA DALY HAND MADE WAX COLONIAL VICTORIAN STYLE GENTLEMAN DOLL" is in sale since Wednesday, February 7, 2018. This item is in the category "Dolls & Bears\Dolls\By Material\Porcelain\Contemporary (1980-Now)\Victorian". The seller is "ivebecomeahoarder" and is located in Elmira, New York. This item can be shipped to United States.